The region’s temperatures are projected to rise by an average of 3.6 degrees Fahrenheit above pre-industrial levels by 2025, according to the study, published this week in PLOS One, a journal published by the Public Library of Science. The scientists found that the Northeast is warming more rapidly than any other part of the country except Alaska — and that the 3.6 degree Fahrenheit rise in the region is likely to come two decades before the rest of the world gets to that point. The authors’ findings, based on 32 different computer models for how climate change will unfold, also show that the Northeast is likely to experience increasingly wet winters and more flooding, while the Great Plains and the Northwest will see drier summers and more prolonged droughts. Scientists have called on policy makers around the world to reduce carbon emissions in hopes of limiting global warming to 3.6 degrees, or 2 degrees Celsius, a threshold considered critical to avoiding a catastrophic rise in sea levels and other major damage attributed to climate change. 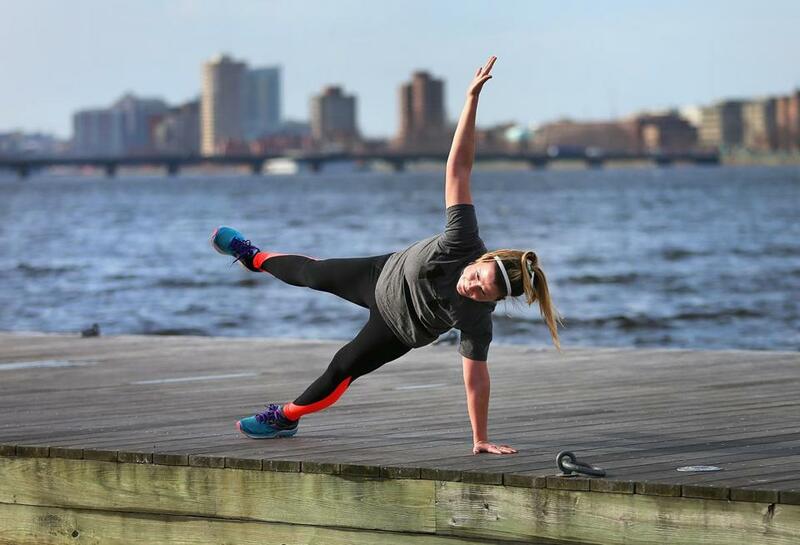 Temperatures in the Northeast have already risen faster than global averages. Since 1895, Massachusetts has warmed by an average of 1.3 degrees Celsius, compared with 1 degree globally. Global temperatures tend to be lower than specific temperatures on land, however, as they include ocean temperatures, which rise more slowly. That disparity will rapidly accelerate in the coming years for a combination of reasons, including the region’s relatively high latitude, its position relative to the prevailing winds that blow west across the United States, and the drastic rise in temperatures in the Gulf of Maine, which has warmed faster than nearly any other body of water on the planet, the authors concluded. How quickly the region warms will depend on how fast carbon emissions are reduced, they said. More drastic action to reduce the use of coal, oil, and other fossil fuels, as called for by the 2015 climate accord signed in Paris, could slow the pace. In the study, the authors noted that the 2-degree Celsius threshold is an arbitrary means of assessing risk. 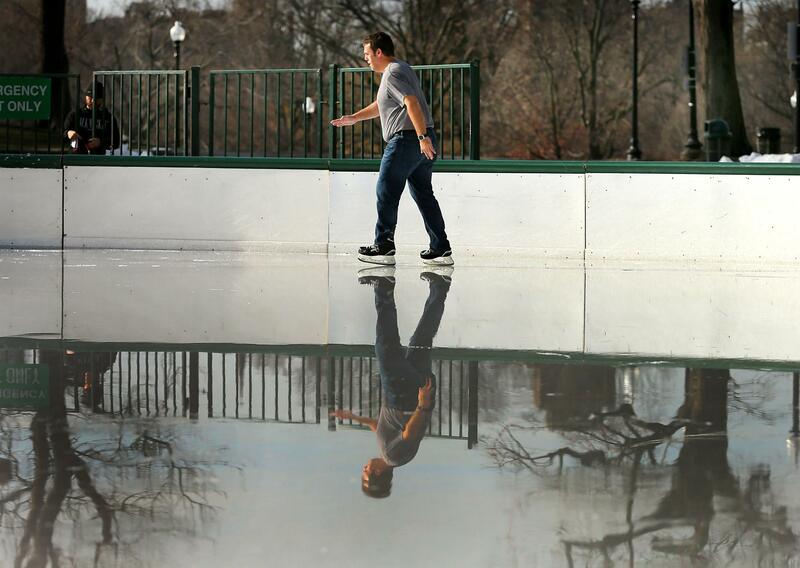 Paul Mueller from Houston, Texas, skated in his t-shirt on the watery ice of the Boston Common Frog Pond on Thursday. In the negotiations leading up to the Paris agreement — which was signed by the United States and some 190 other countries — small island nations that are especially vulnerable to rising seas had proposed that the agreement should limit temperature increases to 1.5 degrees. “We hope policy makers understand that temperature increases are going to vary across the globe, and that some places, like the Northeast, will rise more quickly than elsewhere,” said Ambarish Karmalkar, the lead author of the study and a researcher at the university’s Northeast Climate Science Center. The study follows a similarly dire report released last year that suggested the impact of climate change on Boston could be far worse than previously expected. That report, also written by University of Massachusetts researchers, found that sea levels around the city could, in the worst-case scenario, rise more than 10 feet by the end of the century — nearly twice what was previously predicted. That would plunge about 30 percent of Boston under water. The previous report also found that temperatures in 2070 could exceed 90 degrees for 90 days a year, compared with an average of 11 days now. Changes in precipitation could mean a 50 percent decline in annual snowfall, punctuated by more frequent heavy storms such as nor’easters. The updated projections for Boston reflect other recent research that suggests the accelerating melt of the ice sheets covering Antarctica will have a disproportionate impact on cities along the East Coast. The Northeast could see sea levels rise about 25 percent higher than other parts of the planet — perhaps by as much as 10.5 feet by 2100, and 37 feet by 2200, according to some projections. The dire outlook has led climate scientists to urge policy makers to move on from the debate about whether climate change is happening to how to deal with it. An overwhelming consensus of scientists say climate change is a fact. Anji Seth, a climate scientist at the University of Connecticut who reviewed the latest study, said she hoped it served as a wake-up call to policy makers that the harm from climate change could be coming sooner than expected.